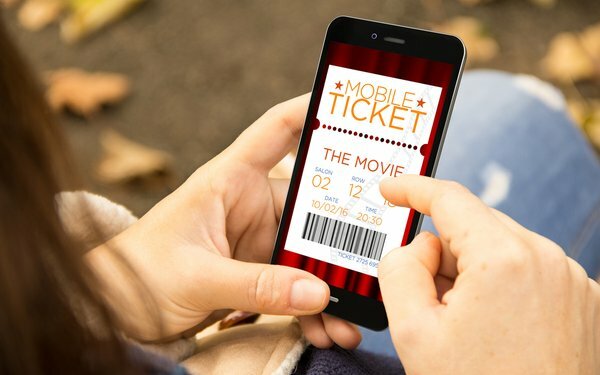 From sporting events to the Broadway theater, mobile ticketing is on track to double by 2023. That’s according to a new forecast from Juniper Research, which expects the purchase of event tickets via mobile devices to grow from 1.1 billion in 2019 to 1.9 billion by 2023. That means mobile will make up the lion’s share of all digital ticket purchases, which should surpass 2.2 billion by 2023. By then, the research firm expects sports fans to spend $23 billion via mobile -- up from $14 billion, this year. The trend is being driven by increased app use by teams for fan engagement, according to research author Nick Maynard. Despite low adoption among ticketing vendors, the research also found that chatbots as a delivery channel are growing. By 2023, Juniper expects users to access chatbots over 4 billion times per year for the purposes of ticket buying. Looking ahead, the firm anticipates the majority of interactions will provide information only, with less than 40% of interactions monetized in 2023 -- compared with 5% in 2019. Mobile ticketing has also become a primary driver of Mobility-as-a-Service (MaaS), which is how Juniper describes a broad range of public transportation options. The research firm expects MaaS to become the central pillar of smart city transport initiatives, which will lead to 60% of all mobile-ticketing users using metro and rail ticketing by 2023.